Deborah Hall has pursued her quest for universal truth and wisdom with a single-minded focus and a certain fierce adherence to principles. Her studies of psychology, bodymind integration, energy healing, meditation, and other Eastern spiritual traditions and practices led her to spend nearly two decades moving deeply inward. She created a private retreat lifestyle for herself, spending much of her time in silent meditation and self-exploration while moving naturally through the many stages and phases of deep healing, awakening, and whole being integration. In addition to her academic work, she has done in-depth study under the guidance of teachers in bodymind integration, Ancient Vedic knowledge and science, and spiritual enlightenment. 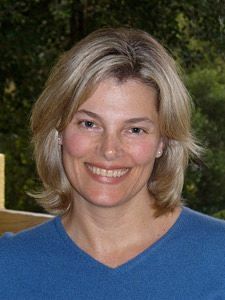 In her study of psychology, Deborah earned a Master’s degree in Clinical Psychology from Antioch University in Los Angeles, where she gained a deep understanding in Object Relations Theory, Family Systems Theory, and Trauma Resolution. Deborah also holds a license as a Marriage and Family Therapist in The State of Florida and a Bachelor of Science degree in Business Administration from Florida State University. Through her personal in-depth studies, she developed the ability to perceive and track her own energetic configuration, engage her patterns of conditioning, and clear her energetic distortions. Through these processes, she established a deep, natural way of restoring a more harmonious energetic life-force flow. Her direct experience has given her the ability to guide others through this challenging journey. It is her long, deep personal study — combined with her academic foundation and professional experience — that has given birth to her own teachings: Conscious Whole Being Integration.